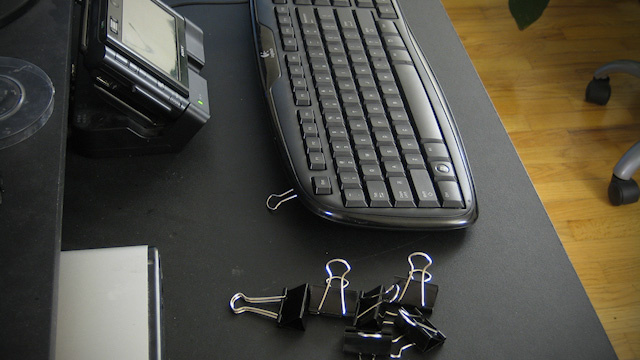 Keyboard is a peripheral device connected to a computer. It is used for a number of different purposes such as typing documents and executing commands. If your keyboard is damaged, you may be able to fix it at home or office. However, chances of successfully repairing a broken keyboard are not a hundred percent. Analyse the extent of damage to the keyboard. Determine which of the keyboard key(s) are damaged. This will give you a trace, which you can follow in order to find the exact location of the fault. Good traces have a resistance of a few hundred Ohms when checked with a multimetre. If that is the case with the trace you are following, consider flexing the keyboard foil and then rechecking the trace. If results are different than before, check for oxidation. Clean away as much of the oxidation as possible. Use a sharp knife for this purpose. This will ensure effective connection of the trace you are following with aluminium in the keyboard. Another possible way to accomplish this is to use the blade of a sharp knife in order to cut the aluminium. Cut a small piece of tape from the scotch tape roll and secure a new piece of foil onto the keyboard if required. After you are done with the repair work, it will be a good idea to check if problems still persist. If all went well, your keyboard should be working properly.